Mount Brydges, Ont. (April 4, 2019) — Forty years after the original restoration, Ducks Unlimited Canada (DUC) has reinvested in a wetland outside of London. By upgrading the water-control structures and lowering the dam to serve as an emergency spillway, DUC has equipped the habitat for future resilience against heavy storms and rainfall. The Delaware Sportsmen’s Conservation Association owns the land. It is a membership-based club with six decades of outdoors tradition in Middlesex County. Club president Richard Faulds recalls the absence of wildlife in the area in the 1950s. The club membership signed on officially to protect the property’s natural values when DUC restored the 23-acre (9-hectare) wetland in 1978. The legally binding conservation agreement—which was signed by then-president David Faulds, who is Richard’s brother—has no expiry date. Gail McNeil has conducted wildlife and habitat surveys on the property for almost 10 years. She collects data for the Great Lakes Marsh Monitoring Program, run by Bird Studies Canada to track biodiversity in marshes. She has recorded an abundance of wildlife using the habitat, including birds such as least bitterns, Sandhill cranes, belted kingfishers and bobolinks, and up to seven species of frogs. The Delaware Wetland has been protected since 1978 by a perpetual conservation agreement with no expiry date. 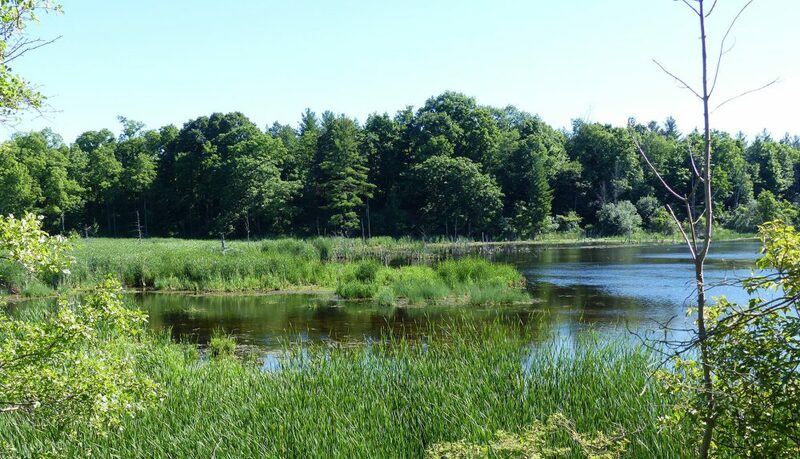 The protected habitat includes a 23-acre (9-hectare) wetland surrounded by 69 acres (28 hectares) of forest. DUC replaced the 40-year-old water controls with a new, plate-steel control structure and a dam was lowered to serve as an emergency spillway for extreme weather events. The new water controls were fenced to deter beavers and provide public safety improvements. Many wildlife species have been recorded on the property including species at risk such as bobolinks, soras and Sandhill cranes. Partners who supported this project include the Ministry of Natural Resources and Forestry and the Upper Thames Conservation Authority. Since 2017, DUC and its partners have delivered more than 100 projects in the Lake Erie watershed to capture phosphorus and other nutrients in wetlands that filter surface water before it travels downstream to rivers and lakes. The project also benefitted from grants through the North American Wetlands Conservation Act for habitat projects in Canada that restore and enhance vital waterfowl habitats. Ducks Unlimited Canada (DUC) is the national leader in wetland conservation. A registered charity, DUC partners with government, industry, non-profit organizations and landowners to conserve wetlands that are critical to waterfowl, wildlife and people.